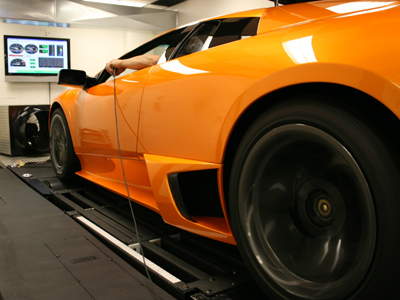 Improving on the Lamborghini engine software is not something many outside of the factory can successfully perform. Our proprietary [EVOMSit] software flashing tool enables us to read and write the ECU’s EPROM memory which controls all of the engine functions. 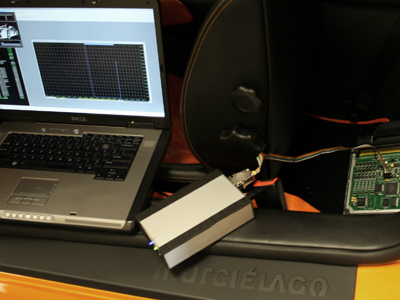 The engine software is seamlessly read out through the ECU data port with just like at the factory. We then modify the OEM software to improve power and torque by carefully refining fuel delivery, ignition timing and load values. We further refine the e-gas throttle settings which improves overall throttle response and creates smoother power delivery. 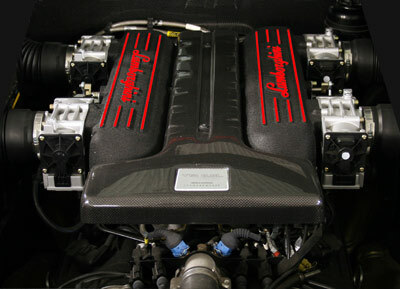 Our performance software is then reloaded back into the OEM ECU’s without a trace of the process. 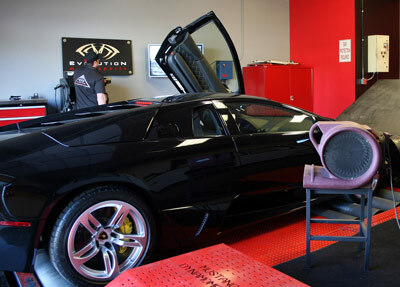 Our proprietary ECU flashing tools enable us to modify the Lamborghini ECU’s the same way as performed at the factory. 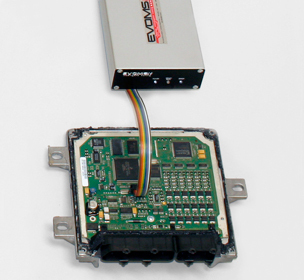 *ECU’s can be removed from the vehicle and sent to EVOMSit or to one of our Exclusive USA dealers for upgrading. We will arrange to have them picked up and will return them to you within 24 hours of receiving them. We can also arrange for one of our technicians / engineers to perform the software and / or other upgrades to your vehicle at your home, business or local dealership. Contact us for more details and pricing for on site upgrading. Power is measured at the wheels on MaxRPM Motorsports Dynojet AWD (with link system) dyno in a controlled environment for accuracy. 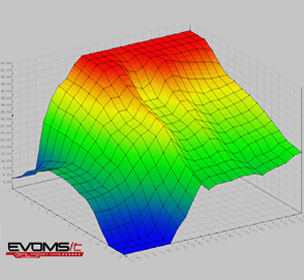 Dyno runs shown are the average runs of a 10 run sample group for both the Baseline and [EVOMSit] modified runs. Dyno runs are accurately run with the same RPM start point, same transmission gear, same performance mode (sport or non-sport) and same cool down time in-between runs. Measurement was made with 2 x 25,000 CFM main cooling fan in the front of the vehicle with 1 x 65000 CFM Dyno room exhaust fume extractor. Dyno room temperature was 78.5 degrees Fahrenheit for both sets of run groups and fuel grade was 100% pump 92 octane WA“ grade oxygenated fuel. Power is measured at the wheels on our Mustang 500 SE AWD dyno in a controlled environment for accuracy. Dyno runs shown are the average runs of a 10 run sample group for both the Baseline and [EVOMSit] modified runs. Dyno runs are accurately run with the same RPM start point, same transmission gear, same performance mode (sport or non-sport) and same cool down time in-between runs. Measurement was made with 1 x 65,000 CFM main cooling fan in the front of the vehicle with 2 x 5000 CFM “spot” cooling fans directed at the rear air intakes. Dyno room temperature was 88.5 degrees Fahrenheit for both sets of run groups and fuel grade was 100% pump 91 octane AZ grade oxygenated fuel.